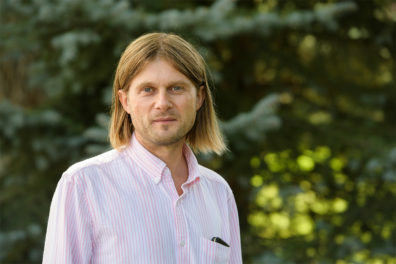 Andrei Smertenko has received National Science Foundation CAREER program funding for research into phragmoplasts. 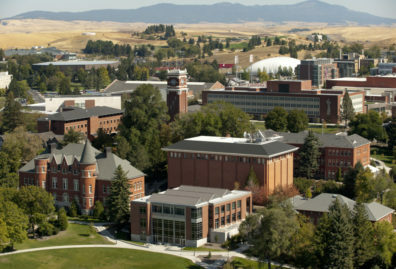 Using the latest FBI crime statistics, the National Council for Home Safety and Security ranks WSU Pullman 35th in the nation and highest in the state of Washington. As Distinguished Professor, Markus Flury will build on retired WSU professor Campbell’s research and teaching legacy. The award recognizes his contributions to Northwest farms, food and beverages. Susmita Bose, the Herman and Brita Lindholm Endowed Chair and professor in the School of Mechanical and Materials Engineering, has been named a fellow of the Materials Research Society. Washington State University’s Joshua Neumiller was named chairperson of the Professional Practice Committee for the American Diabetes Association. Murrow College student Jacqueline Quiroz has been selected to attend an exclusive event hosted by the American Advertising Federation. Have you noticed a WSU employee going out of their way to help a colleague or customer? Nominate them for the Crimson Spirit award for their excellent service. Her data-driven approach to architecture is considered an example of the breadth of immigrant contributions to American arts and sciences. A team of two WSU Doctor of Pharmacy students placed fourth at the American Society of Health-System Pharmacists clinical skills competition in December. Johnny Lupinacci honored for his work with teachers and school leaders to address environmental justice. The colleges of Nursing and Veterinary Medicine team up to create an innovative health clinic serving homeless and low-income people and their pets. The funding will help advance research into enhanced muscle regeneration in cancer patients. The new center houses three separate offices and includes and includes a lounge. Director of Washington State University’s Institute of Biological Chemistry has been named a Fellow in the American Academy of Microbiology. 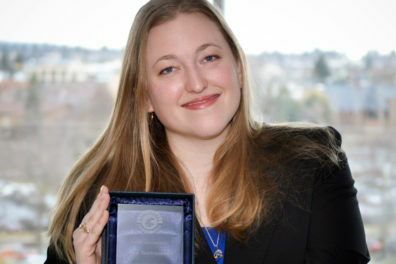 A WSU College of Nursing assistant professor was one of seven nurse educators honored by the End-of-Life Nursing Education Consortium. Nguyen-Truong was the first woman in her family line to graduate from high school, the first to graduate from college, and the first to get a Ph.D.